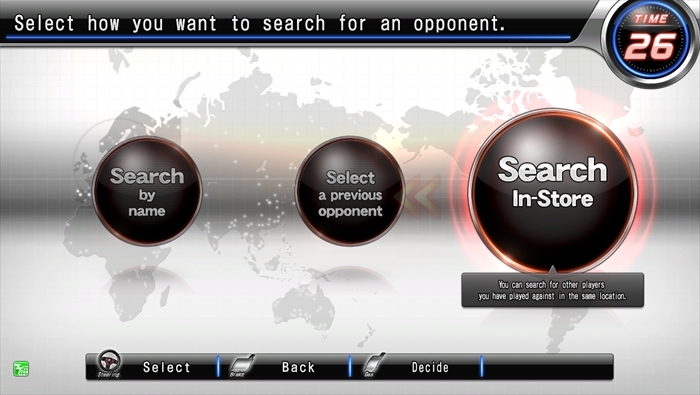 What is a Online Ghost Versus Battle Mode? 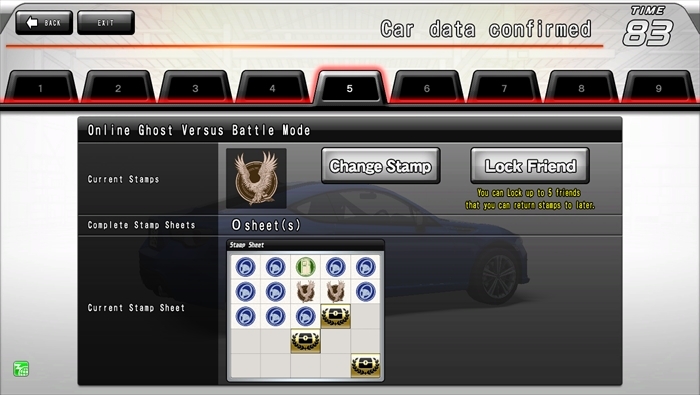 Online Ghost Versus Battle Mode is a mode where you use your "ghost" to race. 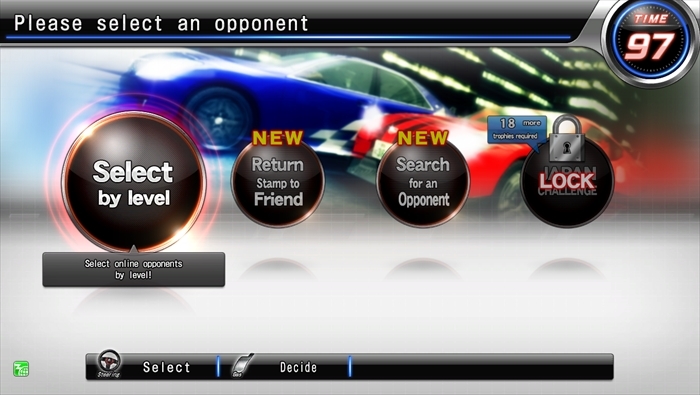 A ghost is created by an actual player racing in Ghost Versus Battle Mode. The ghost memorizes the player's driving style and mimics it.The "ghost" is not really a ghost—it has a material form so you can run into it during the race. 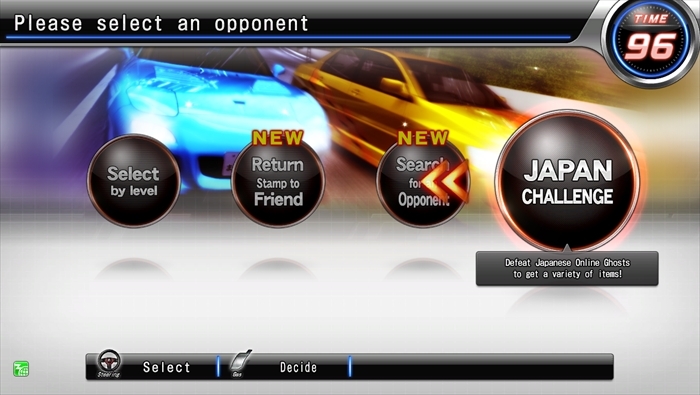 Since it reflects the player's skill and driving style, you can enjoy the experience of racing an actual player. *You cannot play the Online Ghost Versus Battle Mode if you are not using a BANAPASSPORT Card. 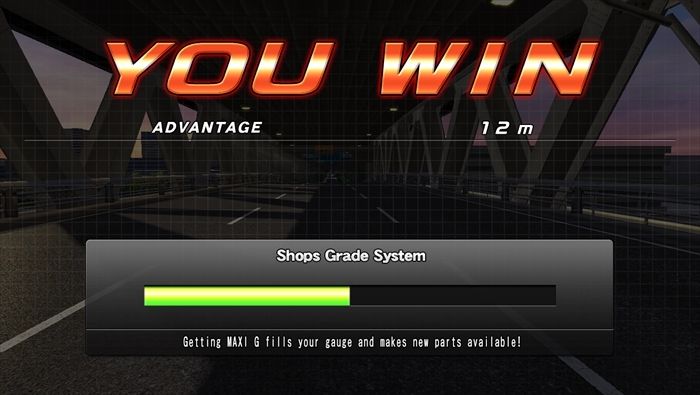 Racing in online ghost versus battles lets you accumulate Maxi G, which can then be used to purchase dress-up parts. 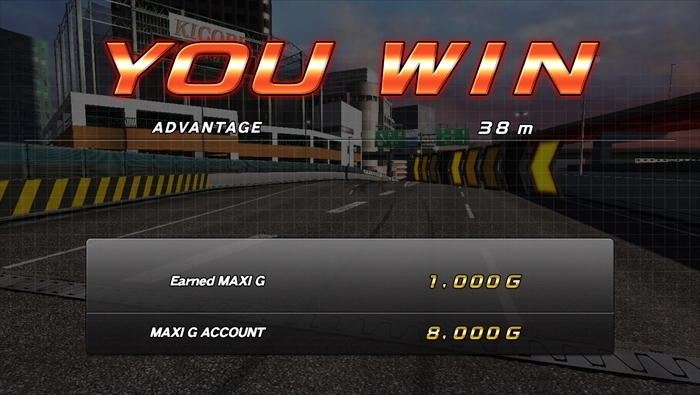 The amounts of Maxi G you can earn are listed below. Dress-up parts can be purchased in the terminal unit’s Maxi Shop. 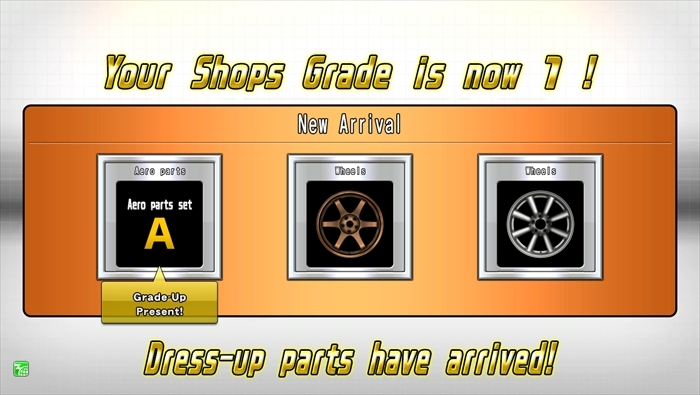 Also, the amount of Maxi G you earn causes your shops grade gauge to build up, and as your shops grade increases, you’ll have more purchasable dress-up parts to choose from. When your shops grade goes up, you’ll even be able to acquire and fit dress-up parts using a driver unit. Also, as a bonus you’ll get a free dress-up part as a present. Going up levels in your shops grade is conditional on your total amount of accumulated Maxi G.
*Decreases in the amount of Maxi G in your account owing to spending it have no effect on your shops grade. 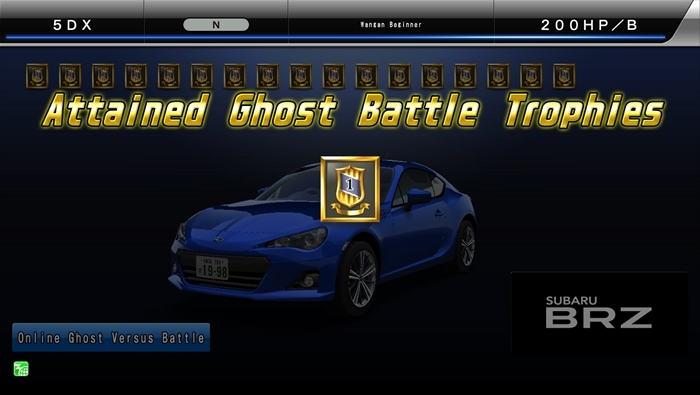 When you win against an opponent in online ghost versus battle mode, you’ll get a ghost battle trophy. If you win after fulfilling certain conditions, you’ll sometimes even get more than usual. 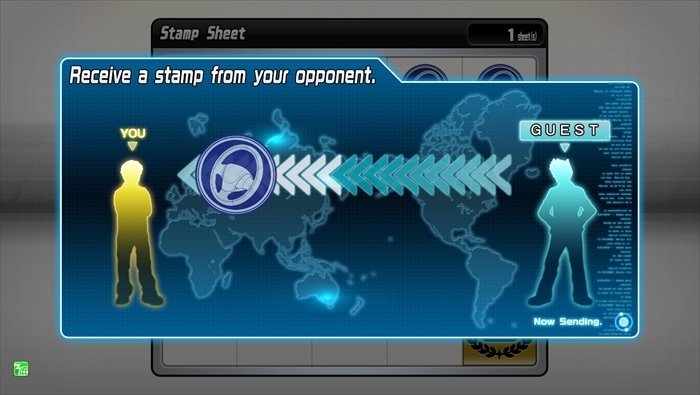 Regardless of whether or not the challenging opponent beats your ghost or not, a stamp will be delivered to you as proof of the battle, and when you challenge that opponent’s ghost, you’ll be able to acquire the delivered stamp. 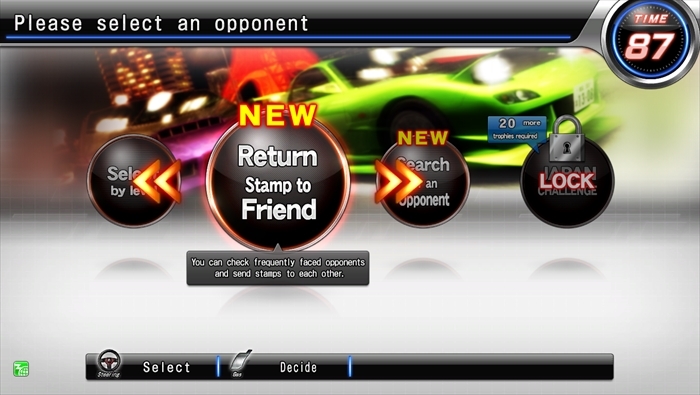 Also, the most recent opponent to send you a stamp will be displayed on the game mode select screen, allowing you to directly challenge their ghost. 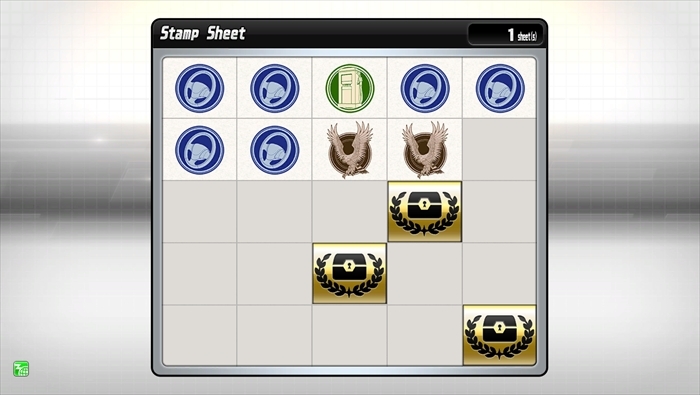 Stamps accumulate on your Stamp Sheet, and once you’ve gotten a certain number of stamps, you can earn a new title or stamp design. 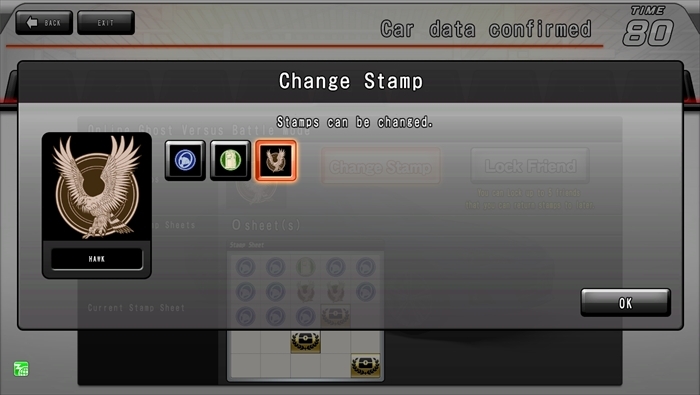 Conversely, when you challenge someone else’s ghost, a stamp is sent from you to your opponent. Collected stamps are renewed on the terminal unit car data confirmation screen. When an opponent who has received one of your stamps then returns the stamp to you, this becomes a Shuttle x 1, creating a shuttle between you. 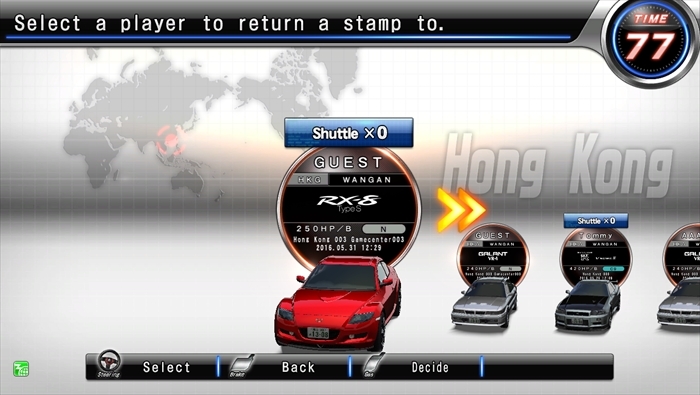 Depending on the value of “Y” in “Shuttle x Y” as well as on the number of people involved, you can earn titles and terminal backgrounds. 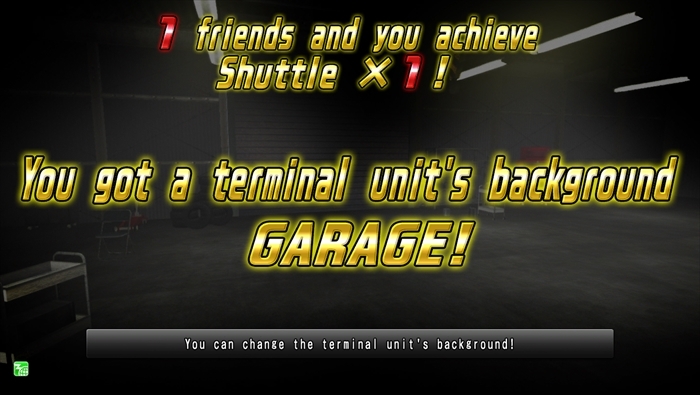 *The terminal background can be changed through the option My Garage > (choose a car) >Change Background. 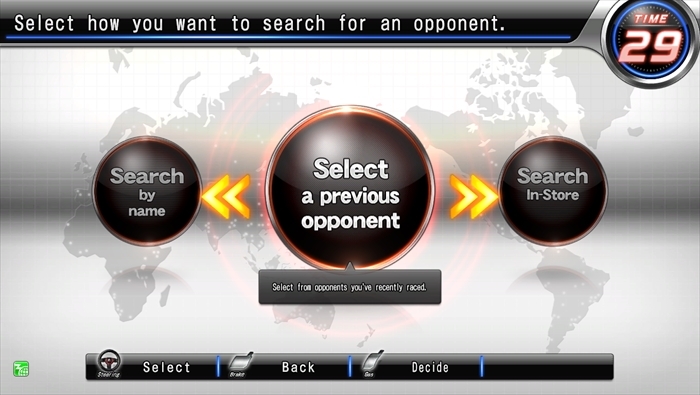 When looking for an opponent, there are a number of different ways to choose a ghost online. Specify a power level among the ghosts nationwide and then select a ghost. The “Venue Crown” signifies the fastest of each course in-store. 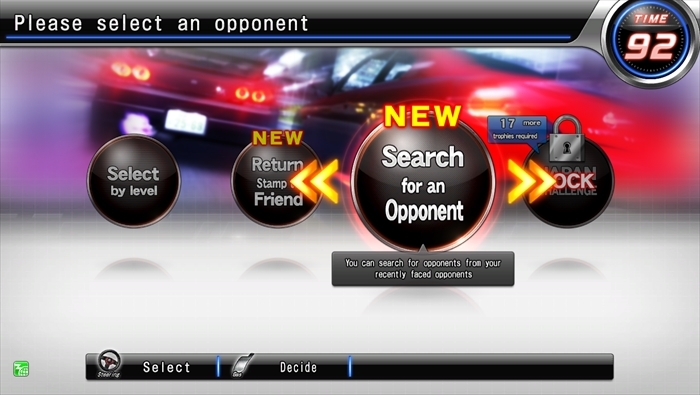 Each course has an opponent who possesses the “Venue Crown”.By defeating an opponent who has the “Venue Crown”, you can take the “Venue Crown” for yourself. You can choose a ghost from your shuttle list as well as one you have received a stamp for after someone challenged your own ghost. There are also recommended ghosts from opponents who haven’t raced against your ghost. People you’ve not returned a stamp to yet have a red plate, and those you’ve already returned one to have a blue plate. There are a number of ways to find a specific ghost. 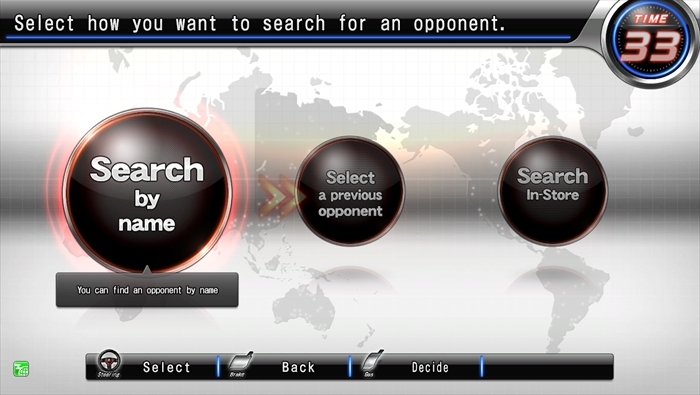 With Search by Name, you can search by name if you know the name of the ghost you want to challenge. With Select Players Previously Raced, you can pick a ghost from the ones you’ve raced recently. With Search In-Store, you can search the ghosts of people who’ve raced in the store you’re currently playing in. 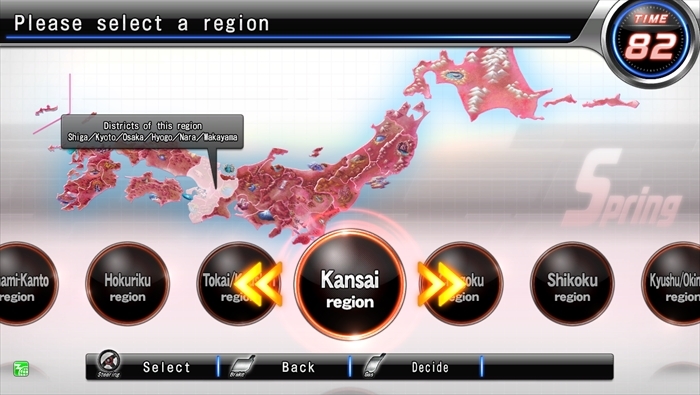 "Japan Challenge" is a game where you fill in a map of Japan by taking districts one by one. You take a district of Japan by choosing and defeating the ghost of a real person living in that district, who plays at your level.When you take all the districts in the region you are challenging, you take the region, and you can get a Bonus Maxi G or the Dress-Up Parts "Number Plate Frame".And if you take all the regions you can "take over the country" and get a special sticker! 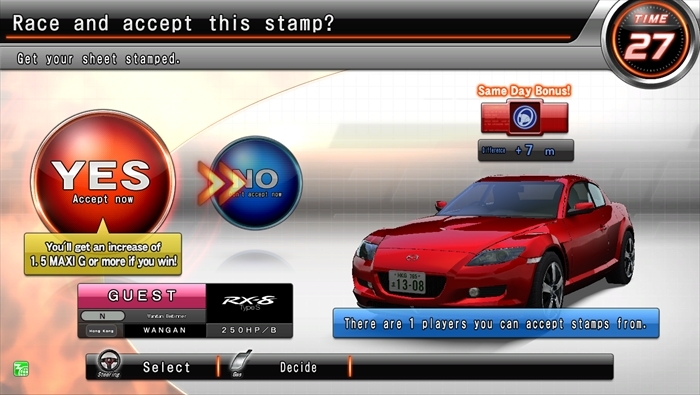 With the renewal of JAPAN CHALLENGE in Wangan Maxi 5DX, the following are in effect. *The JAPAN CHALLENGE will start uniformly from the first region of the first block. 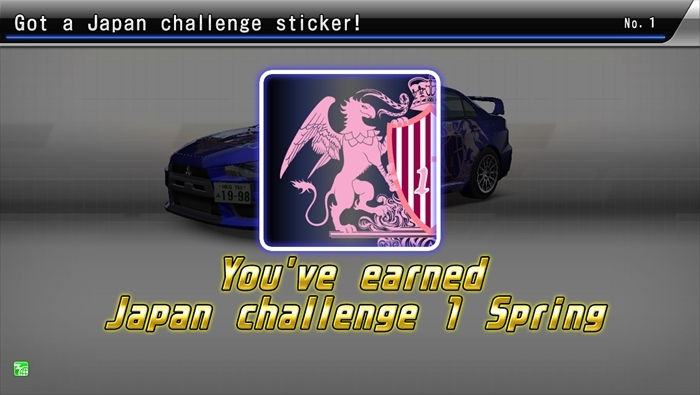 *Items earned in the Wangan Maxi 5 JAPAN CHALLENGE will be carried over as-is. 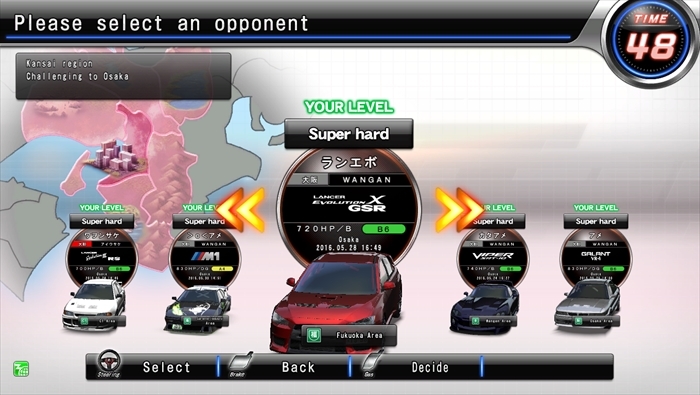 *Level upgrades from participation play in the JAPAN CHALLENGE through Wangan Maxi 5 will be reflected as-is.